The festival season is just around the corner and more and more artists are being booked and preparing for extraordinary shows every day. Sophie Francis is said to be one of the busiest Dj/Producers going through many festivals just like other leading figures. Not only did she perform at Ultra Music Festival this year but she her set is played over 1 million times in different parts of the world. A hope for next generation star and soon to be a leading figure has released a new track and let’s hear the story behind her producing a track. Q1. Congratulations on your "Lovedrunk" release. Can you tell us more about it? We wrote Lovedrunk in Amsterdam, with all Dutch songwriters: Mattanja Joy Bradley, Sophia Ayana, Yuno Verse, Whan… The vocals have a really cool vibe, so actually most of the track was built around that. About the instruments, I wanted something with a light reggae vibe… urban, followed by an energetic drop. We composed the main melodies all together during the camp, with the exception of the drop. It had a different drop originally, and later on, during the production process I wanted to change it, and I wrote some new melodies and produced the one you hear now, together with my friend James Ericsson. James is a great support on the technical side, helping me to improve the sound for now. Also in January I signed with Spinnin’ Records, which was an important miles stone for me, and released ‘Without You’. I am glad that I finished school a couple of weeks ago, and I’ll be able to start touring and to spend lots of hours in studio to make lots of music and to grow as a producer!! Q3. Which track would be your favourite from your work and what inspired you to produce that track? If I had to choose, my favorite track right now it would be ‘Walls’. This track means so much to me, not just emotionally but also as an artist!It was kind of my break through in Europe, having the record on the playlist of every main radio station, and scoring a ‘Dance Smash’. That means the track reached the title of ‘Dance Hit of 2016’, being included in the annual compilation made by Sony Music.It was also my first non-instrumental track, and playing the record and seeing the crowd going crazy and singing along was amazing. Q4. Can you pick 1 or 2 must plays in your sets and why? Sophie Francis – Without You (Mad Rework) because I wanted to have a great banger to enjoy live, with my original single ‘Without You’, and it’s a dancefloor beast!!! 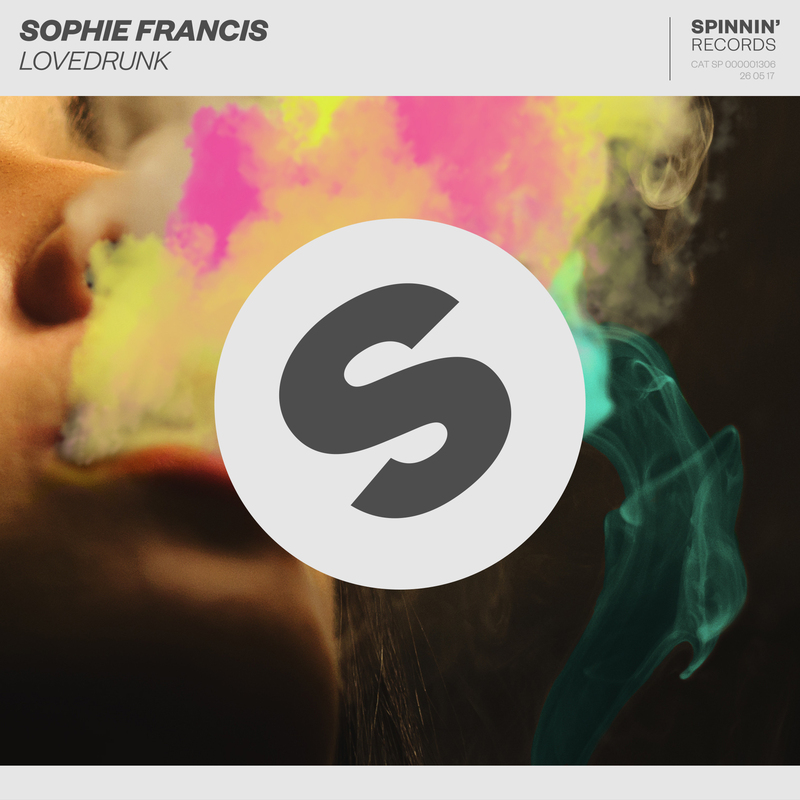 Sophie Francis – Walls (Mad Rework) its also another super energetic great version of my original Walls. You definitely need to try them out!! I have them as free download on my official SoundCloud page! Q5. Are there any artists in particular you would love to collab with this year? There are so many great artists out there that I really like! I couldn't name just one I would like to work with, but people like Showtek, Jay Hardway, Ummet Ozcan… I’d love to!! That I'm quite short and after this interview they'll also know I always use a step when I'm playing haha I’ll be coming to Japan soon!!! 18th of August I’ll be playing in Osaka at Vanity Club, and 19th of August in Tokyo at V2 club!!! I am really looking forward to this!!! Q7. What are your plans for the Summer? I have a busy schedule with a lot of festivals and clubs for the summer season in Europe, including Tomorrowland in Belgium, Parookaville in Germany... Top Festivals! But also in June I'm flying to LA for studio sessions there. In August I’ll start an Asia tour, including 2 dates as I mentioned above in Japan! Also the Storm Festivals in China and many more. Sophie Francis has joined the group of players under the spotlight from a very young age. A very exceptional duo The Chainsmokers, Dimitri Vegas & Like Mike and R3hab have realised her talent from a very young stage and kept on supporting her from the start. As seen from DJ MAG TOP 100 DJs, a female artist is going to be very special in the coming years in the dance music scene and she is a hope to become the next generation star. Sophie Francis is also set to come to Japan on August 18th to party with the Japanese crowd. Stay tuned to her updates.